Join us for a holiday open house! 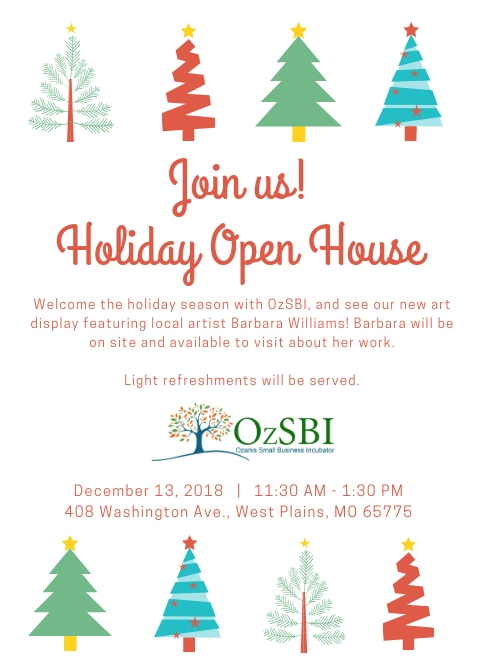 Visit with OzSBI staff, and see our new art display featuring the work of local artist Barbara Williams. Barbara will be on site and available to visit about her work.